medical plant Patikan Cina is(Terna small creeping, sometimes half-erect, hairy, there is everywhere in the grass in the yard, around the field, the edge of the road in places slightly damp to a height of 1400 m above sea level. 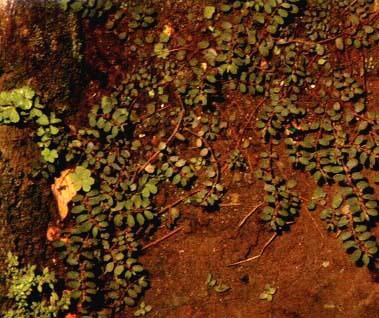 Stems and leaves are slightly reddish, when damaged, remove the sap. Finned leaves even, small, oval, sight, smell fragrant. Pink flowers. The whole plant, fresh or dried. 1. Bacillary dysentery, typhus abdominalis, enteritis, diarrhea. 15-30 grams dried or 30-60 grams of fresh, boiled, drinking. dropped to spots on comea (micula). then added cold water, attached to a hospital. Fresh herbs to taste boiled, wash.